See what Drake, Nicki Minaj and Stormzy have been up to this week. 1. 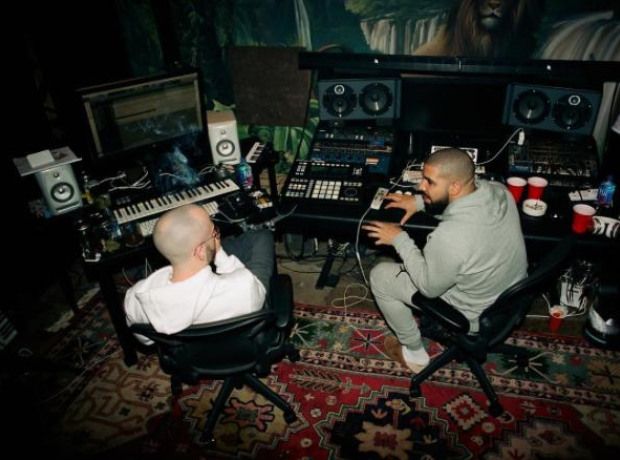 Drake continued to tease fans about 'Views From The 6'. Does this photo mean we're one step closer? 2. Stormzy linked up with with Kevin Hart and Ice Cube for an amazing rap battle. 3. Skepta shared a throwback picture of himself rapping with ASAP Rocky. 4. LL Cool J earned a star on the Hollywood Walk Of Fame. 7. Snoop Dogg was the first guest on Khloe Kardashian's new TV show 'Kocktails With Khloe'. 8. Lil Wayne and Birdman reunited on stage - although Weezy is still reportedly sueing him. 9. Chris Brown sent out a message to his fans. 10. Tinie Tempah headed to Nigeria, where he got involved in the local practises.